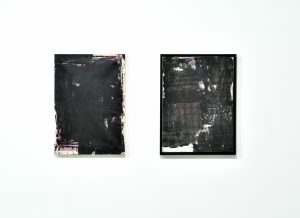 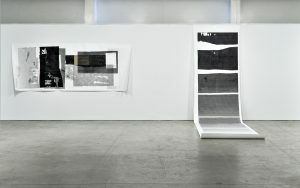 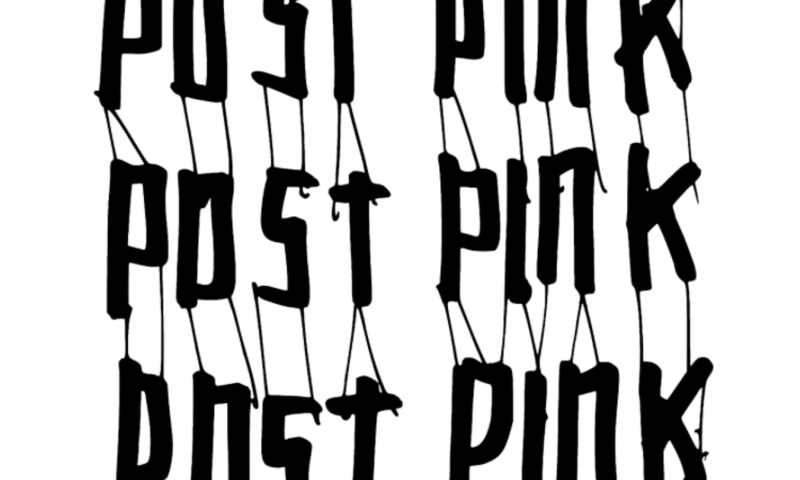 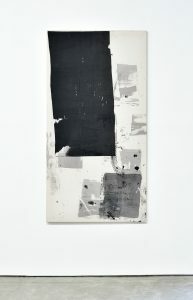 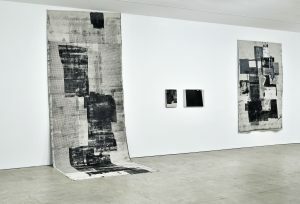 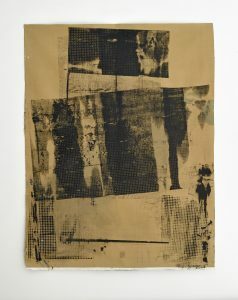 Tracing back our digitally conditioned present to one of the very first reproduction-techniques – silkscreen prints on paper and cotton – Eva Mitala confronts plain, layered printed surfaces with the living materiality of time. 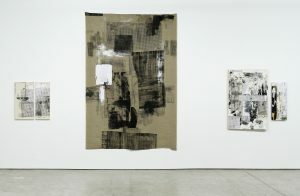 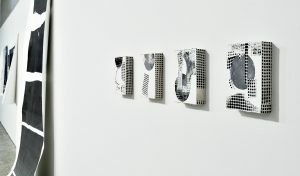 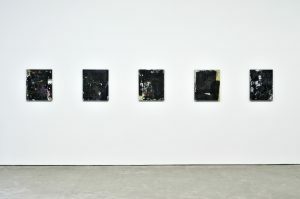 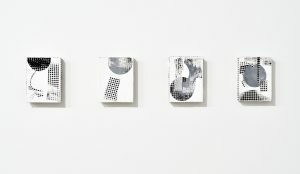 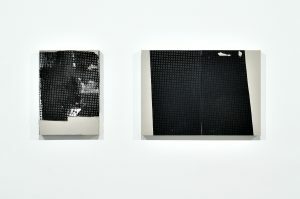 Gaps, spots, patches, the real fading of the organic materials used for the prints expose the printed surfaces to transiency, contingence, evanescence. 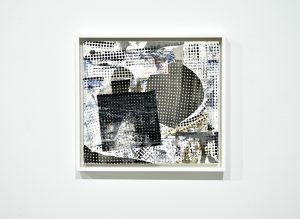 Uniquely related to nothingness out of which emerge the drift of time – life –, the layered surfaces reveal their own becoming as the singularity of a living now. 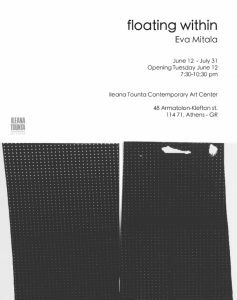 It’s not about experiencing what is depicted, it is about awareness: floating within, be this now, be the living plasticity and ever-new transformations of matter opened-up in Mitala’s works – be the relational excess that makes up and recasts our present.